Should you be carrying out weathering and light fastness testing on your products? Have you ever thought about how your product will stand up against the outdoor elements? Have you ever considered the impact of what weather and sunlight can have on the product you spend time and money developing? Whatever your answer is, you will probably be thinking about it now! Products can be exposed to all types of weathering elements, depending on the environment in which they are expected to spend their service life. Sunlight, UV, moisture and weathering conditions can cause major damage to any product when it sits outdoors or indoors in direct sunlight through glass. Fading, degradation, colour change, appearance change and weakness are just a few of the detrimental effects from weathering and UV light on products. If your products will spend its life outdoors or in direct sunlight then you need to consider weathering and light fastness testing in order to give a prediction of how it could perform under such weathering circumstances. 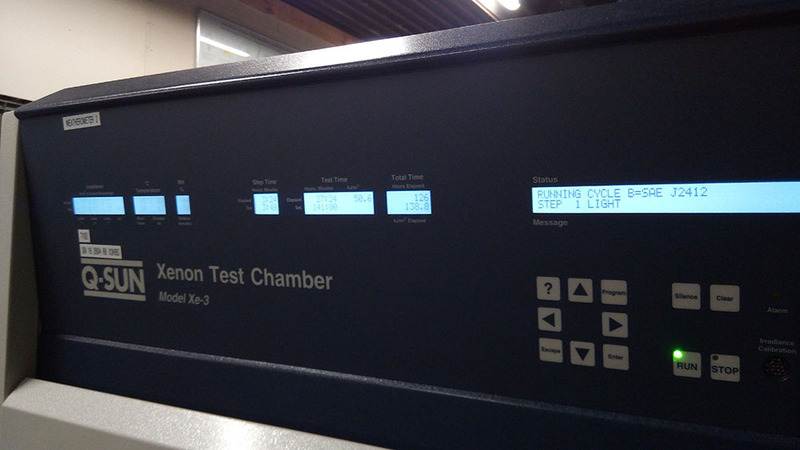 Impact Solutions has a range of weathering and light fastness testing chambers available to help determine how well your product will hold up in specified outdoor and indoor light conditions. The weathering chambers expose your product to elements which its likely to face in real life. 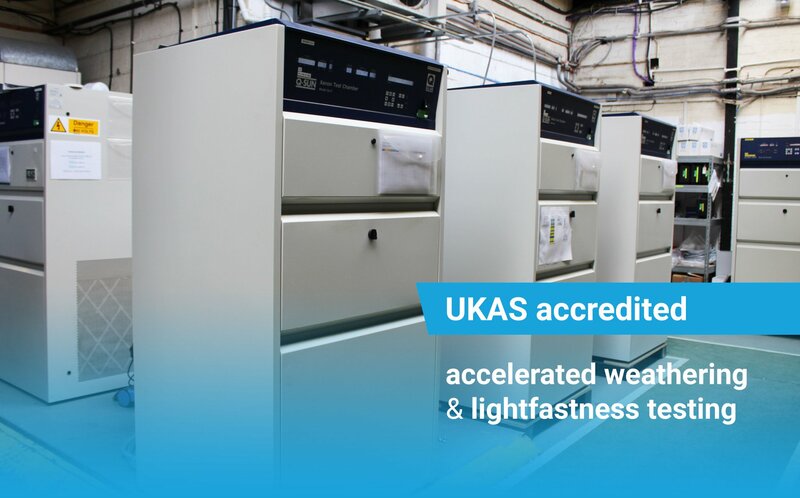 We are a fully UKAS 17025 accredited laboratory and can offer all types of standards for weathering and light fastness testing. For more information on this type of testing please contact us on info@impact-solutions.co.uk or give us a call on +44 (0) 1324 489 182 . Alternatively, you can view our full list of testing capabilities here.